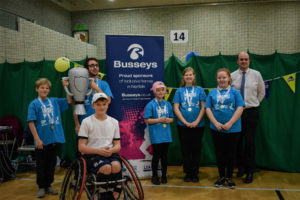 The competition took place at the Sportspark with 5 Complex Needs schools, 40 children in 9 teams taking part in a variety of tennis activities. 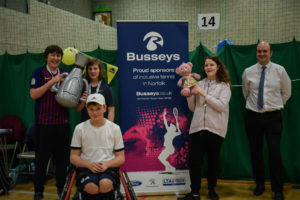 It was an official LTA Team Challenge event, sponsored by Busseys, with GB’s junior wheelchair player from Norwich, Ben Bartram, attending as an NLTA ambassador. The below links will highlight additional sessions that will also be available in the new year. 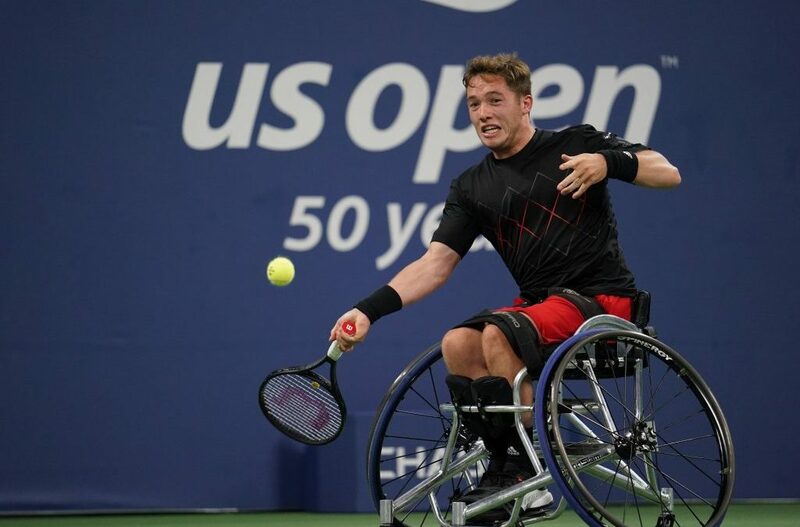 Great Britain’s Alfie Hewett produced an exemplary performance to win his first men’s singles US Open title and his second career Grand Slam singles title on Sunday in New York, defeating world No.1 Shingo Kunieda of Japan 6-3, 7-5. Exactly a week on from world No.2 Hewett beating Kunieda in the final of the US Open USTA Wheelchair Championships in St, Louis to win the last Super Series title of the year, Hewett bounced back from 2-0 down to take the opening set. 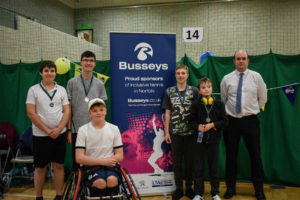 After a tentative start he visibly increased his intensity and hit a succession of impressive winners to reel off four games in succession and another forehand winner saw Hewett convert his second set point. Hewett swapped service breaks with 22-time Grand Slam singles champion and six-time US Open champion Kunieda early in the second set and had chalked up in excess of 40 winners midway through the set. The 20-year-old Brit held to open up a 5-3 lead and had his first championship point in the next game. After breaking Kunieda’s serve to love for a 6-5 lead Hewett served for the match for a second time and set up another championship point with a backhand winner. Kunieda fired his next service return long to complete a famous victory for the British No.1 after an hour and 55 minutes. 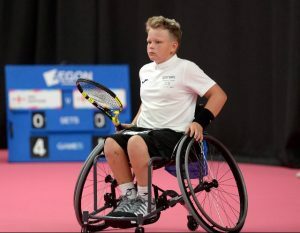 Hewett’s victory means Brits completed the US Open wheelchair tennis event with three titles after Hewett and Gordon Reid beat top seeds Houdet and Nicolas Peifer in the final of the men’s doubles for the second year in a row on Saturday. Also on Saturday, Andy Lapthorne partnered David Wagner of the USA to win the quad doubles title for the second year in a row. Hewett completes a full set of Grand Slam singles titles for British men’s players on the Tennis Foundation’s Wheelchair Tennis World Class Programme. Reid won the Australian Open and Wimbledon singles titles in 2016 before Hewett claimed his maiden Grand Slam singles crown at Roland Garros in 2017. 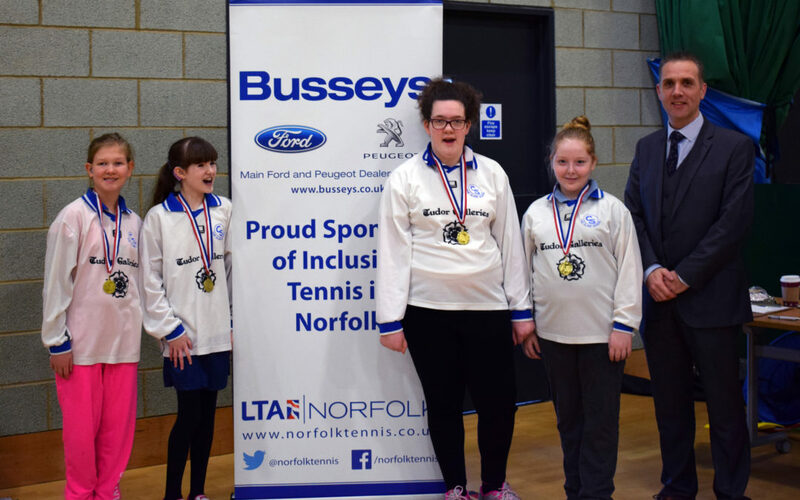 More success for the Norwich duo at the School Games National Finals. 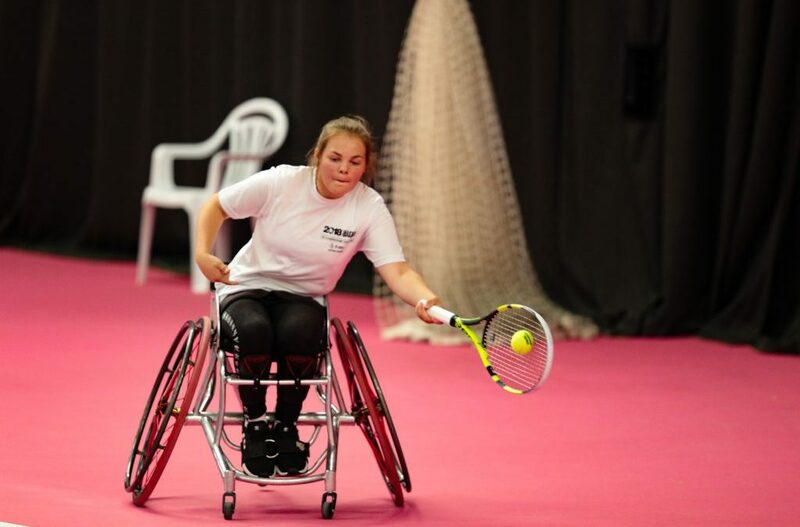 Norfolk trio of Ben Bartram, Ruby Bishop and World No.2 player Alfie Hewett were competing in Nottingham last week at the British Open Wheelchair Tennis Championships. Ben Bartram still only 13 went on to win the Junior Boys Singles and Doubles titles alongside partner Dahon Ward. Ruby Bishop reached the Junior Girls Singles and Doubles Finals with partner Alex. 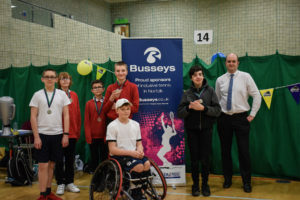 For a full report of the championships please see link below. Details of the junior event are at the bottom of the article.